It may not be the stuff of headlines. 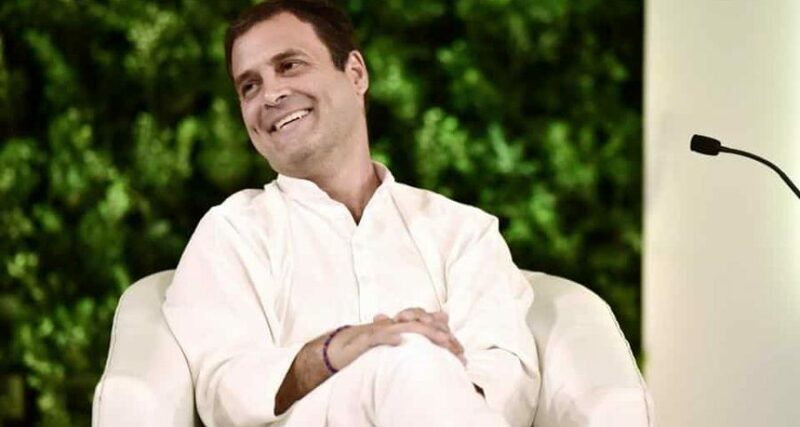 But among the most important observations Congress president Rahul Gandhi made in his expansive, wide-ranging interview to the Hindustan Times, was rejection of the simplistic Right-Centre-Left ideological categories often used to describe Indian politics. When asked where he stood — his economics often resembled the left; his religious forays the right; and his free speech interventions had a liberal streak — Gandhi was quick to say he does not subscribe to the paradigm of “Left, Right and Centre”. He instead said he believed in the “paradigm of voice”, that everyone needed to be heard. But since this may have come across as a wee abstract, Gandhi threw up terms which are useful for the Indian political lexicon — fairness, pragmatism and non-violence. This, at the cost of paraphrasing him, defined his politics in his self-imagination. It was from a position of wanting a fair deal that he was backing farmers. He would back industrialists, too, if they were getting a raw deal. This is laudable, but Gandhi has set an exceptionally high standard for himself. He has at least three more decades in public life. By publicly suggesting he should be judged on this standard of fairness, Gandhi has opened up space for the Indian public sphere to ensure he has to listen to each voice. Justice is always difficult to deliver especially in a society replete with contradictions and very difficult policy choices — he has promised it. Gandhi also defined himself as pragmatic. His pragmatic streak is indeed visible. In terms of class outreach, he has been open to speaking to business — telling them that while he is not against them, there is an issue with crony capitalism. (Congress’s own record on this is, however, dubious). He has been wooing the middle class with the criticism of unemployment. He has been breaching into the BJP’s own constituency of small traders by reminding them of demonetisation and the Goods and Services Tax. And he has been relentless about agrarian distress. He has now promised the poor a minimum income. In terms of alliances, he has been willing to be a secondary player in Karnataka. He tried to enter the UP alliance, but when that did not work out, he was willing to use a key weapon in the form of Priyanka Gandhi. He is now attempting to stoke internal contradictions within the Bharatiya Janata Party (BJP). It was in this spirit of pragmatism that he next rejected the assertion that going to a temple represented Right-of-Centre politics, and gave the example of a range of leaders. He also claimed he would be open to going to a mosque or gurdwara. Indian secularists of the hard variety often mistake sharing the beliefs of the country’s citizens as necessarily sharing their prejudices. Gandhi is fully entitled to display his faith, or experiment with faiths, or show respect to all faiths, and strive for harmony. The only challenge here is that in an increasingly majoritarian polity, is Gandhi’s politics of asserting Hindu faith tactical but coming at the cost of speaking up for other faiths? Will this then eventually harm the cause of harmony? This is a caveat the Congress president needs to keep in mind. The risk with pragmatism is that leaders end up compromising on their ethical and political agenda and positions. Gandhi must be careful of that. And finally, Gandhi made it clear he draws a red line on violence. This is something all Indians who believe in the Constitution will agree with. It was also important to do so for him because BJP has in recent times characterised Congress as being somewhat sympathetic to Maoists or Kashmiri militants (which is not exactly accurate given how much the Indian state under Congress has fought them). This must continue to remain the bedrock of Indian constitutional order. Gandhi has done well in rejecting the lazy categories through which many academics and analysts end up defining Indian politics. Narendra Modi was branded Right, but has delivered a fairly radical social welfare approach. Manmohan Singh was synonymous with the economic Right, but launched some of the most progressive legislations providing state support to the poor. Rahul Gandhi, by defining his political worldview as defined by the ideas of fairness and pragmatism, has given us a new way to think of Indian politics. It is time to hold him to these words.